I believe that the busier the nurse is, the better her scrubs should be! So, really hard-working nurses need absolutely awesome scrubs, like Grey’s Anatomy nursing uniforms. The good thing about Grey’s Anatomy is that there are lots of options. The only issue is when you’re short on time, you don’t want lots of options. But you still deserve the best scrubs! So, today, I’m going to share with you the benefits of each Grey’s Anatomy Collection. Once you choose the line that best suits your needs, you’ll be all set to finding those perfect scrubs real fast! Grey’s Anatomy: This collection of designer scrub tops, pants, nurse jackets and tees has got to be from the best scrub uniforms out there. Because it was so wildly successful, it led to the development of 4 other scrub collections! If you’re looking for a professional and classy nursing uniform that is the best quality, a classic Grey’s Anatomy scrub may be just what you’re looking for. Grey’s Anatomy Active: Athletically inspired, the scrubs in this line boast sporty stripes, raglan designs, and mesh inserts that allow for extreme breathability. 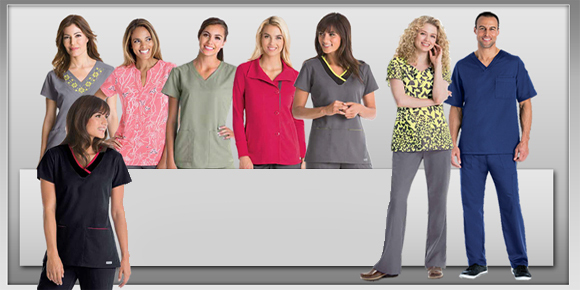 Modern and fun, these super comfortable scrubs are the ones that brought athleisure to the nursing uniform world. Grey’s Anatomy Impact: The uniforms in this collection fit fabulously, and are wonderfully fashionable, while still retaining that professional look. They’re modern and becoming, and ultimately comfortable. Grey’s Anatomy Signature: Luxurious like you can’t imagine, these soft, stretchy nursing uniforms are as sophisticated as you can get. These are comfy and soft, with the perfect amount of give. If you like looking professional and classy, this is your next must-have. Grey’s Anatomy Spandex Stretch: Okay, so this isn’t to say that the other Grey’s Anatomy lines aren’t stretchy, because they are. But the even the best can always get better, and here’s proof to that. These spandex stretch scrubs are fabulously flexible, and they give you freedom of movement like you’ve never dreamed was possible. So, now that we’ve dissected the differences between all the choicest uniforms there are for medical professionals when it comes to nursing uniforms, you’re all ready and set to choose the scrubs that are the best, and best for you! Go for it, nurses!